Roger Federer's bid for a third successive Australian Open title will begin against world number 99 Denis Istomin, while top seed Novak Djokovic will face a qualifier in the first round. 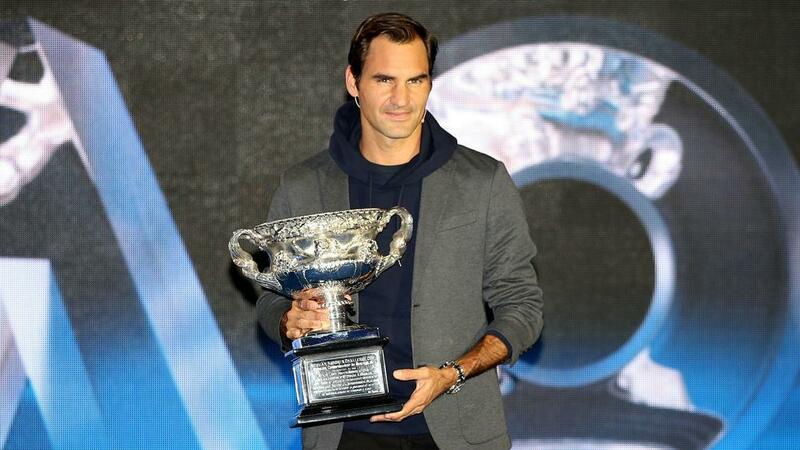 The draw for the first grand slam of the year took place on Thursday, where the likes of Federer, Djokovic and Rafael Nadal all learned what their potential path to the trophy would look like. Should Djokovic, a six-time winner at Melbourne Park, beat an as-yet-unknown qualifier, he could face wildcard Jo-Wilfried Tsonga in the next match, with Denis Shapovalov a possible third-round opponent and Kei Nishikori potentially awaiting in the last eight. Nadal will meet Australian wildcard James Duckworth in his opening clash, with Kevin Anderson, John Isner and Grigor Dimitrov all in his quarter of the draw. One of the stand-out ties of the first round sees the unseeded Nick Kyrgios' meet 2016 semi-finalist and 16th seed Milos Raonic, with the winner of that contest going through to face either 2014 champion Stan Wawrinka or Ernests Gulbis. Those two, and seventh seed Dominic Thiem, are in the same quarter as Alexander Zverev, who could meet Djokovic in the semi-finals but must first plot his way past Aljaz Bedene in the opening round. Marin Cilic, who lost last year's final to Federer, will begin his 2019 campaign against home hope Bernard Tomic.